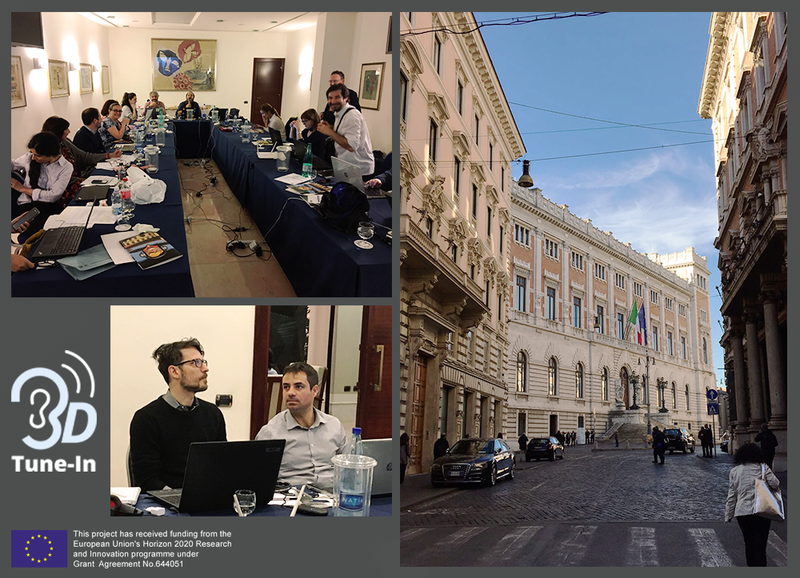 On the 26th and 27th of October, the 3D Tune-In 6th General Project Meeting was held in Rome. The meeting, organised by our partner Vianet, took place in the city centre, surrounded by magnificent monuments and historical buildings. Audiologists and experts in hearing loss tested our apps and evaluated them with the purpose of suggesting changes and improvements to be put in place in the following months. The results of these demonstrations, together with the last round of formative evaluations lead by the University of Nottingham, will guide the next, and last, development iteration. So, we are all working on improving our games and gamified applications for a final release at the end of the project in April 2018. 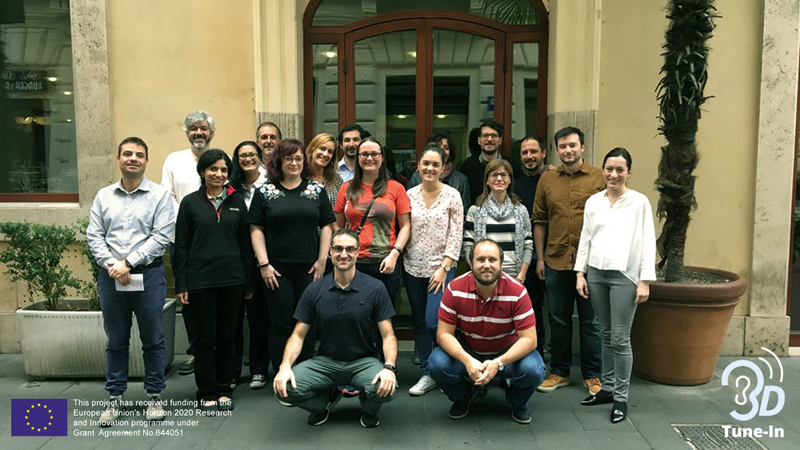 Regarding the 3D Tune-In Toolkit for developers, the University of Malaga and Imperial College London demonstrated to the consortium in Rome the latest advancements, including non-linear simulations of hearing loss features. We have also reviewed the dissemination and communication progress, in order to create a collaborative communication outreach next year, enhancing the impact of the Toolkit and the Applications for our main target groups. Exploitation and legal agreements are currently well defined and ready to be implemented too! The next and final meeting will be organised in London. But before we will meet again, the 3D Tune-In consortium has a surprise for you: the 18th of April 2018 a great event about our project will be hosted at the V&A Museum. More information will be soon available through our website and mailing list.